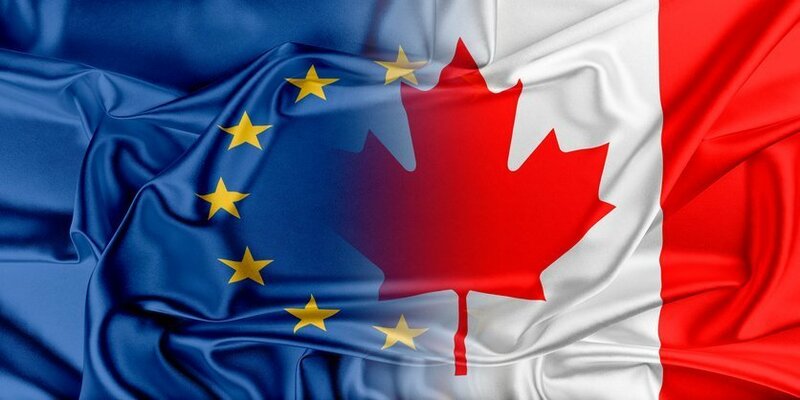 High drama this week, with CETA, the Comprehensive Economic and Trade Agreement between Canada and the EU, first blocked by the Walloons, and then rescued following some marathon diplomacy (or inconsequential fudge, depending on your perspective). Had the Walloon parliament voted against the agreement, Belgium would have been prevented from agreeing to it, thus the unanimous agreement of EU states needed to sign would have failed, and so would the ratification of the deal. For those opposed to CETA – and their numbers are legion – this victory will no doubt have many fathers. Politico summarised the groundswell of opposition in Belgium as being “part survival tactics by a Socialist party facing a growing challenge from the anti-globalization hard-left, part classical protection of agricultural interests, and part principled concern about the risk of tilting the balance of regulatory power from states to corporations”. Expanding on that last part, it is clear that the proposals for an investor state dispute mechanism played a large part in turning public opinion against the deal. The charges levelled against the inclusion of international dispute settlement (ISDS) within the treaty are familiar; that arbitration lacks transparency, that it would force privatisation of public services, that it would bring a regulatory chill, constraining the freedom of government action, and that it would allow multi-national corporations to sue for future profits. These concerns have persisted despite statements by DG Trade. But are they justified? Does the evidence support the thesis that arbitration between private companies and states is designed to protect corporate profits at the expense of a government’s freedom to act? This article aims to look more specifically at the last point- is there in fact, or in law, a right to the protection of future profits in the ISDS regime? An article published in the Guardian last year, ‘The obscure legal system that allows corporations to sue states‘ takes a typical stance, commenting that “Multinationals have sued to recover money they have already invested, but also for alleged lost profits and “expected future profits”. The first case cited there – Pac Rim Cayman LLC v Republic of El Salvador– is a good one to look at in more detail, for those concerned about the interaction between the business of doing government. After spending some tens of millions of dollars in preparatory work for the exploitation of two areas (called, somewhat hubristically, ‘El Dorado Norte’ and ‘El Dorado Sur’), Pacific Rim found itself confronted by a de facto mining ban on the part of El Salvador, and sued El Salvador for $314 million, alleging “the Respondent’s illegal action and inaction” (c.f para 3.31 of the arbitral award). For concerned critics of ICSID in CETA, this may provide some reassurance – investors must follow government procedures, regardless of a bilateral investment treaty (BIT), and a court will not override reasonable administrative requirements. (Sadly, no comment was made on the assertion of the Salvadoran government that the claimants “misunderstood the goodwill and good intentions of many Salvadoran government officials”– as fine an example of dry legal humour as has ever been seen). Fortunately, the proceedings of Vattenfell are being (almost) livestreamed, so interested parties can watch along. This revolution will be televised, although sadly, that received a lot less publicity than the drama of a CETA delay. Article written by Peter Boyle. Do you agree with the views presented in the article? Please feel free to comment or write an article in response to this feature.